People have been researching to find out the cure of deadly diseases like AIDS, while some other deadly diseases are ignored, a good example is the Heart Attack. Today, Heart Attack has been proven in the universe to be one of the most serious and perilous disease that human can suffer from. In countries like U.S.A Heart Attack is the major result of death and approximately 2 million people do suffer from the disease, while only a few of them are lethal. Ventricular fibrillation in the human heart is the cause of most death related to the disease and it happens just before the victim receives some medical aid and proper attention in the emergency room. If a patient is capable of reaching in an emergency room, well there is a big chance of him or her to survive due to the advanced and modern medical equipment in the heart operations theatre emergency room. Most of the patients usually die later on in the intensive care unit (ICU) only because of the serious damage that they experience in the heart muscle. To increase higher percentages chances of survival in the victim, the only suitable way is by giving a restrict dose of drugs and medication. 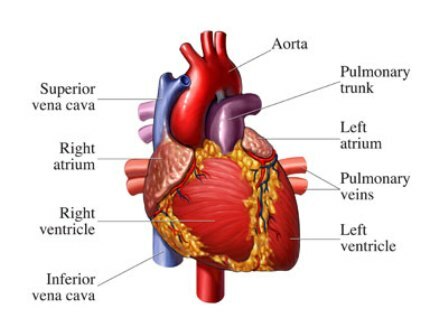 For instance, with the advanced medical treatment of PTCA- coronary balloon angioplasty, drugs that will dissolve clots in either artery or veins, coronary angiogram, preventing heart muscles from a further damage, re-establishing a better normal blood circulation all this have the possibility to increase survival and hence saved lives. Therefore, to reduce the Heart Attack, a victim should be immediately diagnosed with such drugs that extensively dissolve clots in arteries and veins. In most cases the disease grows slowly and erupts immediately just after the infection. Heart Attack should be promptly treated as soon as one recognises early symptoms related to the disease. In most cases, symptoms and signs of heart attack differ from one person to another; even a victim who has experienced heart attack might pose different symptoms. Heart Attack symptoms are mostly experienced only for not more than a quarter year period since the start time of recognition. A type of known attack; the Silent Heart Attack is common in victims with diabetes mellitus. Research results show that the most recognized signs are chest pain and pressure. However there are other various known symptoms which include: nausea ,panting or rather the shortness of breath , any heart burn or indigestion, abdomen discomfort ,the heart squeezing feeling, upper back pain, headache, toothache, vomiting, sweating, general malaise and pains on the arms or joints. So many people do mistake Heart Attack symptoms being fatigue or stress. It is therefore safe to start an immediate medical check up, also if signs are seen then seek early treatment. What happens when heart attack treatment is delayed or ignored? When treatment is delayed or ignored chances are that, many health complications or even sudden death may arise causing your heart to be permanently impaired. For treatment, seek an immediate medical attention as soon as symptoms and signs are experienced. Even if it is a mild symptom do not take it for granted. Also, ensure that you have a regular checkup that concerns your health and don’t forget to keep fit with a healthy diet.